Election Day for the hotly contested midterm races across the country is on Tuesday, November 6, 2018. 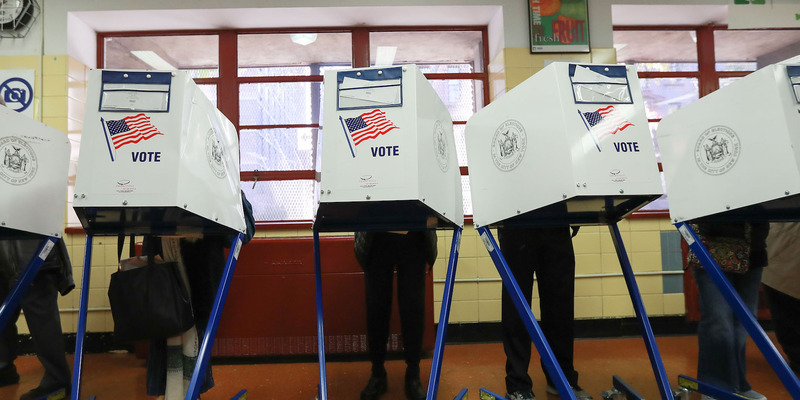 Though polls are generally open all day and into the evening, states vary on opening and closing times for polling places. Business Insider has broken down the rules by state in the chart below. Polling places will be open nationwide to the public for Election Day Tuesday, November 6. Though polls are generally open from early in the morning into the evening, open and close times vary by state. To make sure you don’t run out of time to make your voice heard, Business Insider has broken down the rules by state in the chart below. If you are in line to vote when the polls close, stay there. States have laws requiring people be allowed to cast their ballots if they were in line. You can find the times for New Hampshire polling places in this document here. If you are in line to vote when your polling place closes, and anyone tries to keep you from voting, contact the Department of Justice Civil Rights Department by phone (1-800-253-3931), email (voting.section@usdoj.gov), or submit a complaint on their website. You can also call the non-partisan voter protection hotline (from groups including the ACLU and Rock the Vote) at 1-866-OUR-VOTE (1-866-687-8683) if your rights have been violated, or you saw someone else’s were. You can also text „OUR VOTE“ to 97779.